Our plant-based burger is made with beetroot, quinoa and soya patty topped with carrot and peppers served with skin-on fries – a delicious meat-free alternative if you’re taking part in Veganuary. Looking for something a little different? 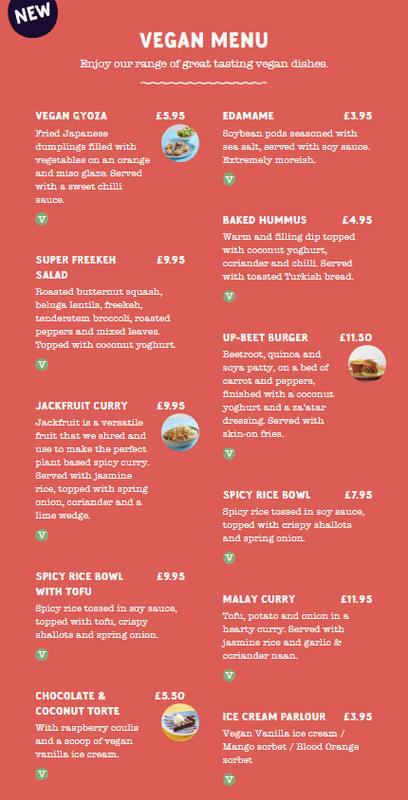 Order the new and filling Jackfruit Curry served with jasmine rice, topped with spring onion and coriander. Don’t forget to complete your dish with our delicately wrapped vegetable gyozas – it’s the perfect Veganuary feast!